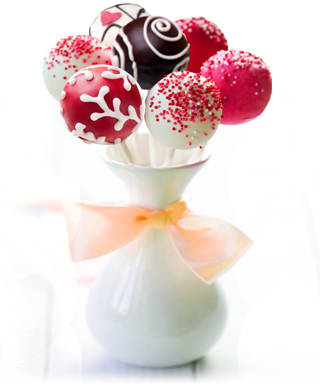 Each of our Cake Pops are made to order by hand. Regular orders placed online or by phone require a minimum 2 business days processing time. (i.e. if you order on Monday before noon, your item will ship out on Wednesday). I make every order custom to fit your events’ needs, I hand-craft each pop to order. Your guests will surely be wowed when you present them with these beautiful favors at your next event. Each time I make these favors, everyone is thrilled with them and highly admires the craftsmanship I put into my work. You will not be disappointed. These cake pops are truly unique and special in their own way because they are made with attention to detail and passion since it is something I absolutely love doing.